I love discovering new restaurants and I love it even more when I discover it because of my friends! 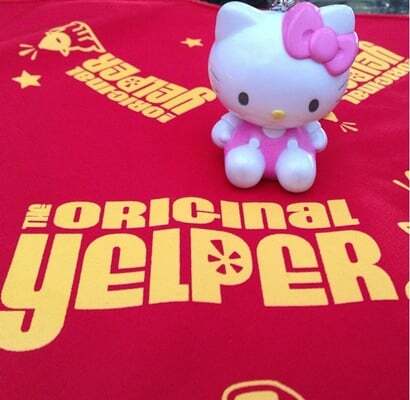 Tonight, I got to try a new place and it was all because of Yelp and my great Yelp friends. We went to dinner out at Flavors of Belize in Los Angeles. It is a place I would have never found myself and I am so thankful for my foodie friends for a night of new cuisine. It was my first time ever to try Belizean cuisine and so each dish was a nice surprise of deliciousness for me. 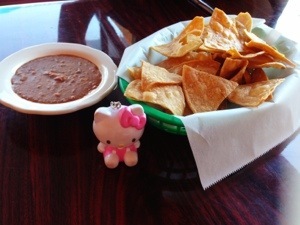 Our meals started out with complimentary chips and beans. 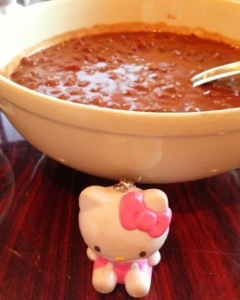 The beans were slightly spicy, thus making it a bit different from beans I am normally accustomed to. It was good and indication of the other yummy treats we had in store for the night. We tried several appetizers tonight. Garnaches was the first dish we tried. 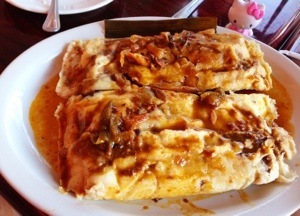 It is homemade tortillas topped with refried beans, Belizean tomato and onion sauce and cheese. 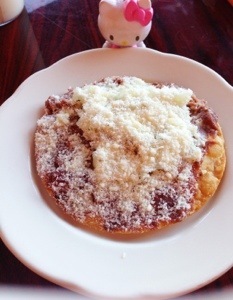 The bean and cheese topping was plentiful and perfect for the crispy tortilla base. This was one light but tasty dish. 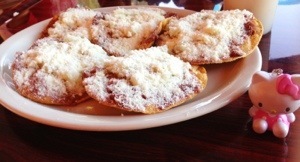 The next appetizer, salbutes, was also very tasty. 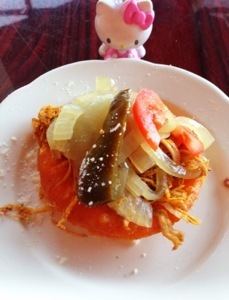 Salbutes is masa tortillas that are fried and topped with shredded chicken and cabbage, cilantro and tomato sauce. Similar to our first appetizer of garnaches, these salbutes was topped with so much goodness. There was plenty of shredded chicken and cabbage sauce! They are very generous with their toppings here! Fish panades was the third appetizer we tried. I don’t eat seafood so I cannot write too much about this one. 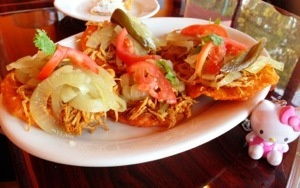 My friends did enjoy these fried masa tortillas stuffed with fish and topped with onions. I tried a little bit of the crust and did like how flaky and crispy it was. The last appetizer we had, were the best in my opinion. The meat pies were my favorite appetizers. They are filled with spiced ground beef. 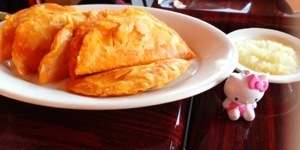 They say these are a Belizean favorite and I can definitely see why! Crispy outside and savory inside, these are perfect mini treats! After the appetizers, it was time for the main courses and just like the appetizers, they were super fulfilling! The generous toppings on the appetizers should have given me an indication of how big their portions were. When the tamales came out, I was even more surprised. These were some gigantic tamales. It was filled with chicken and wrapped in a banana leaf. It was one very big and savory traditional Belizean tamale! We got oxtail for our main course. 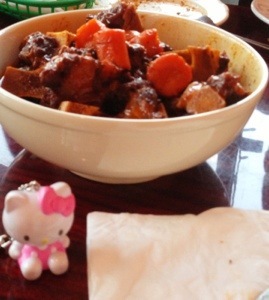 Chunks of oxtail and a lot of carrots were served to us in large bowls. 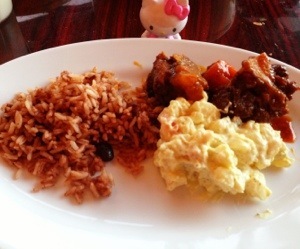 We ate the oxtail with several side dishes such as rice and beans, potato salad, white rice and beans. 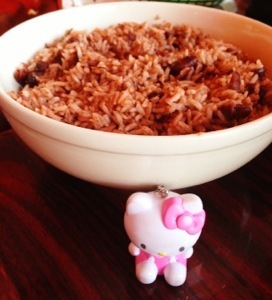 The rice and beans were good mix of white rice and minced beans. For the non bean or non rice eaters or those who don’t like them mixed, Taste of Belize had some dishes for them as well. We did get a side of beans too (sans rice). 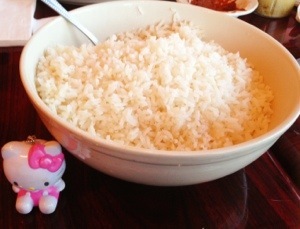 We also got white rice (sans beans). As if we didn’t have enough carbs already, we also got potato salad ;). 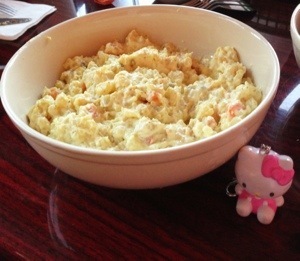 I’m glad we did get potato salad though because this was one of my favorites! I liked the slightly sweet flavor of the potato salad here. It had a very homemade like taste. All of the sides were great and good combined with the oxtail. We ended the night with some great deserts! 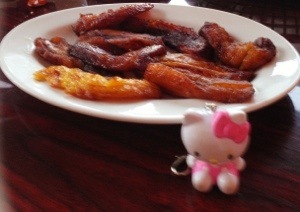 We first tried the fried plantains. I always enjoy places that serve this dessert. Here, they were nicely soft and sweet. The owner, Kendrick, gave us some complimentary milk cake. 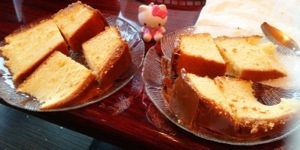 It was yellow cake topped with homemade caramel. We were also give complimentary coconut tarts. 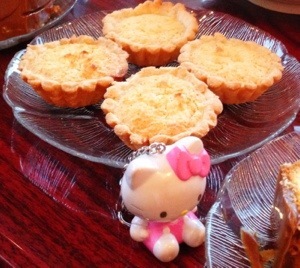 I really liked these cute, simple but yummy tarts. They were not too sweet and had just the right amount of coconut. Tonight was a great night of new food and meeting new friends! My first try at Belizean food was an excellent one and I am so thankful to have experienced it with some fellow foodies and good friends!